Here’s a great video from TED about how sugar effects your brain chemistry. Sugar also increases inflammation in the body, alters metabolism, and can lead to depression and anxiety. Please copy and paste the link in a new window, or watch from Whole Health Center’s Facebook page. Enjoy! Whole Health Center provides information, education and access to complementary health services for people seeking wellness. Whole Health center connects practitioners and neighbors to achieve optimum health. Healthy and happy people are the basis of a healthy happy community. 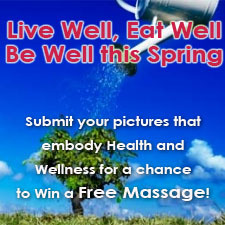 Join our Facebook Spring Contest! How Does Sugar Effect the Brain?